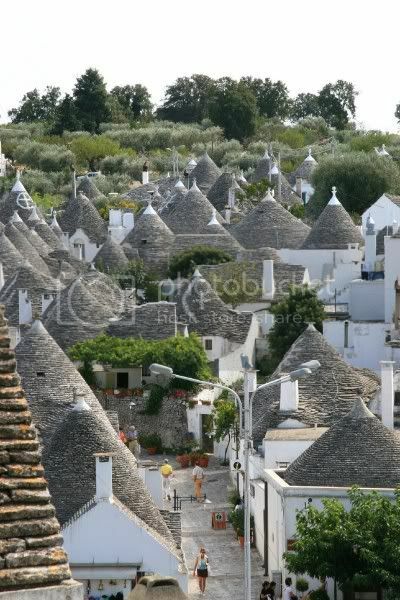 Trulli (trullo in singular) are round or square dwellings or storebuildings with cone shaped roofs found in the Itria valley in the Apulian region of southern Italy. 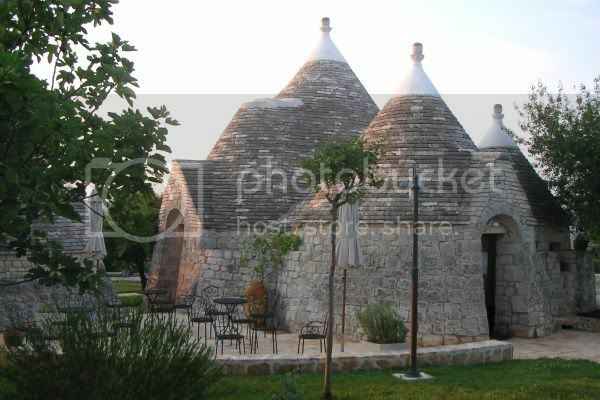 They are traditionally built completely without mortar - to avoid taxation, it's been said. 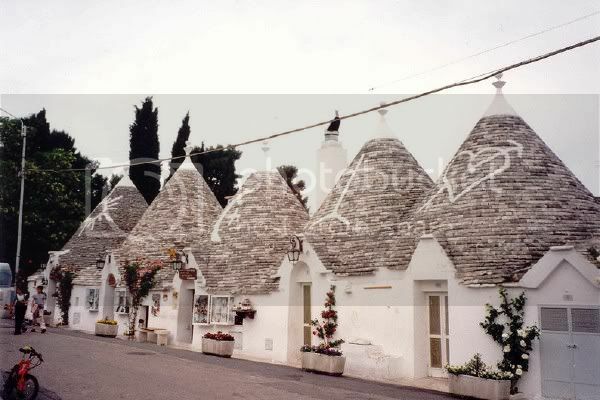 Allthough some foundations can be traced back to the Neolithic period, really ancient trulli don't exist, because people used to tear them down when they became rickety and rebuild them or build new ones using the material from the ones they tore down. 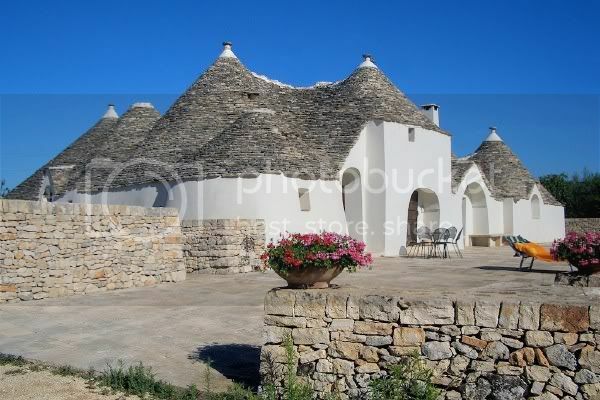 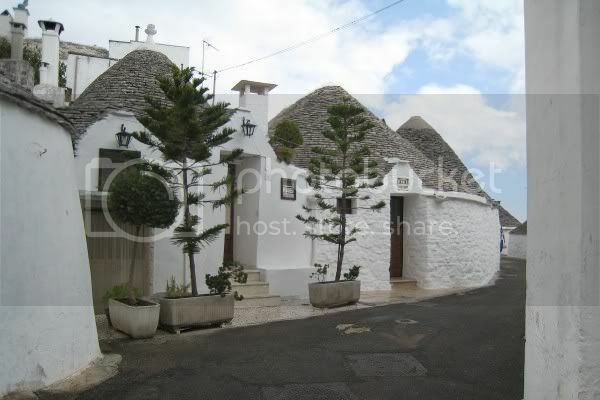 New trulli are still being constructed the traditional way. 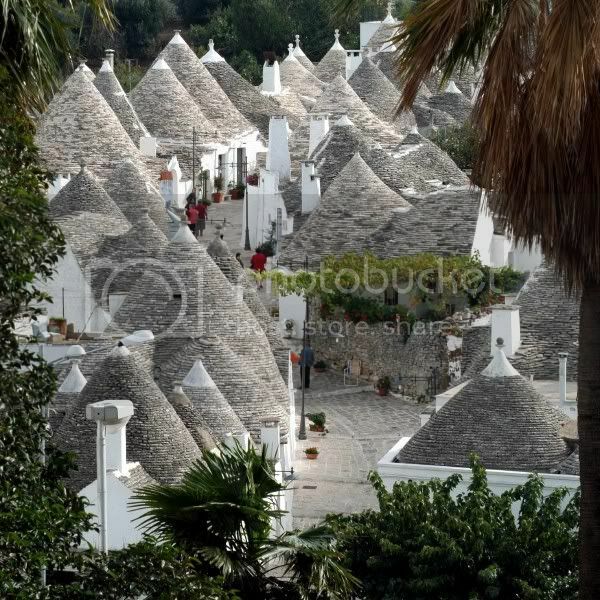 Traditional symbols of good luck and protection against the evil eye are painted on the roofs. 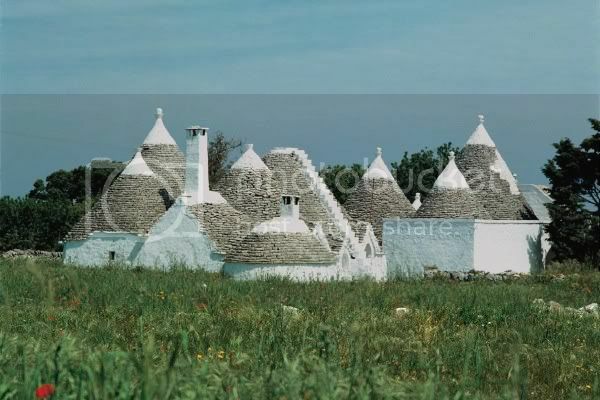 They can be pagan, Jewish, Christain, Hellenic, magical - some are so old nobody remembers their origin or exactly what they mean.